← FORCED OUT OF RETIREMENT…AND I AM OK WITH THAT! 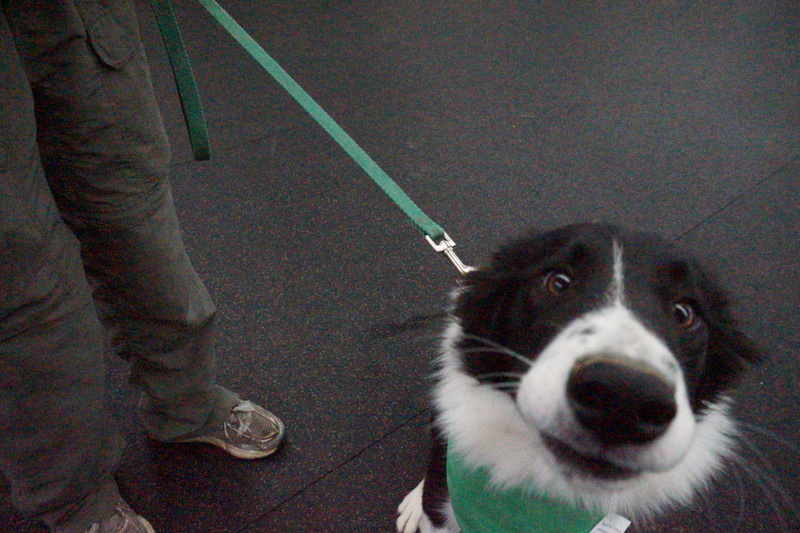 Whenever I hear the word “GO,” my ears prick up and my head tilts to the right. Of course I want to GO! Bye-bye in the car, right? 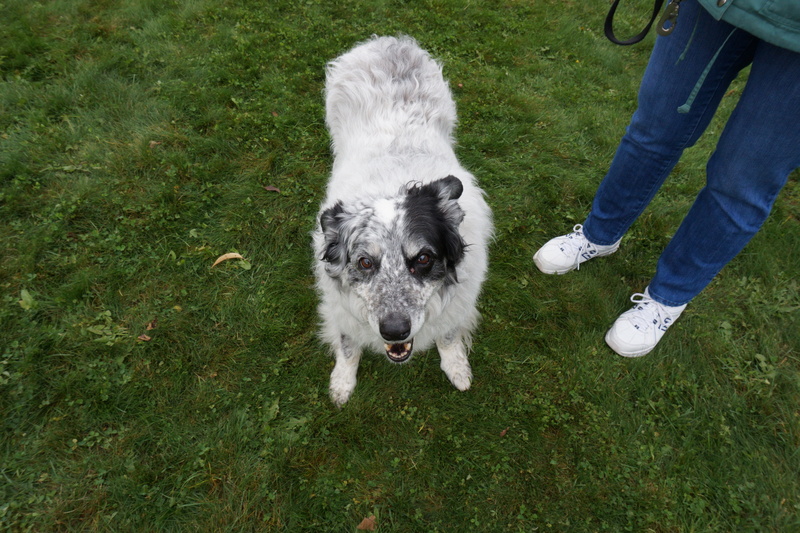 I am going with My Dad to the Border Collie picnic IN THE CAR…right? 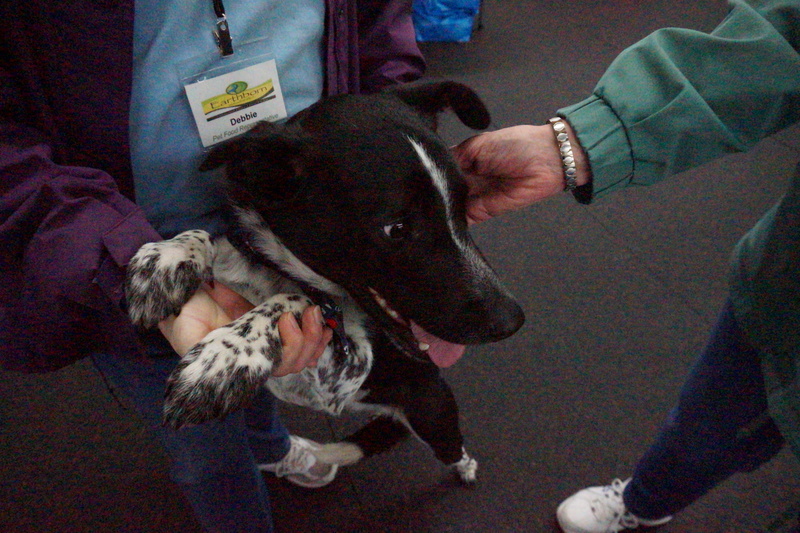 Early yesterday morning, I was assisted into the back of the Scion xB – RIGHT INTO A CRATE! What is this? No barking out the window? Who will be looking out for the nefarious delivery trucks…no, not Chris. Wait, wait, wait…re-think this approach. FEDEX, UPS, U.S. Mail, those long trucks that carry new cars, going OVER bridges, going UNDER bridges, railroad crossings…sigh. How can I alert My Dad to all of these dangers? 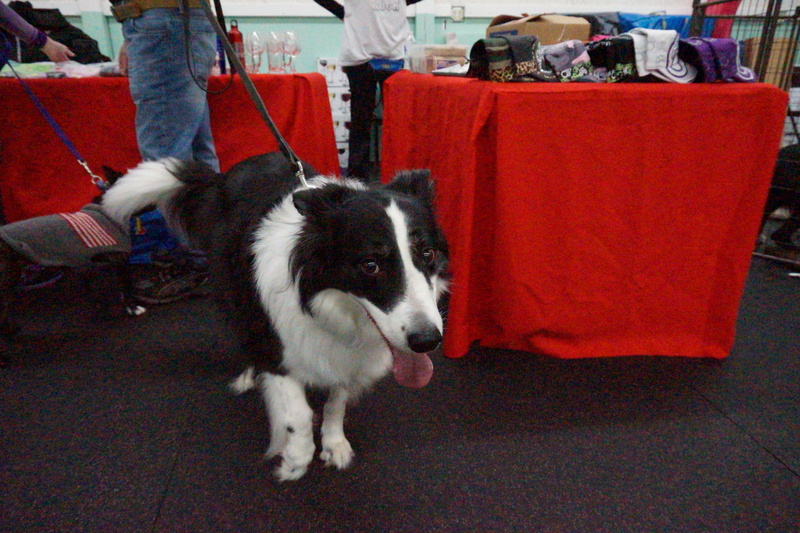 How BORING for a Border collie…sitting in a crate. Hours and hours of BORED, BORDER, BOREDEST… And, My Dad stopped at McDonald’s TWICE – NO HAMBURGERS. Complaints will be filed! 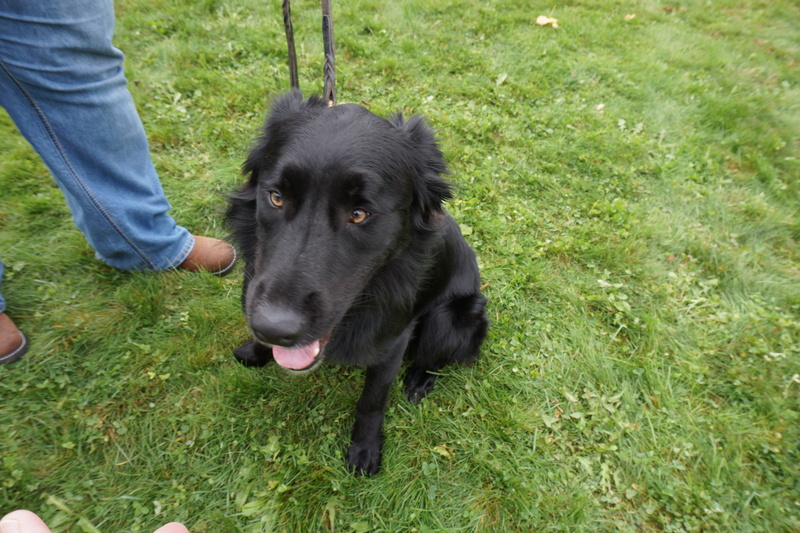 Well, I didn’t have to stay in a crate during our time at the Picnic. 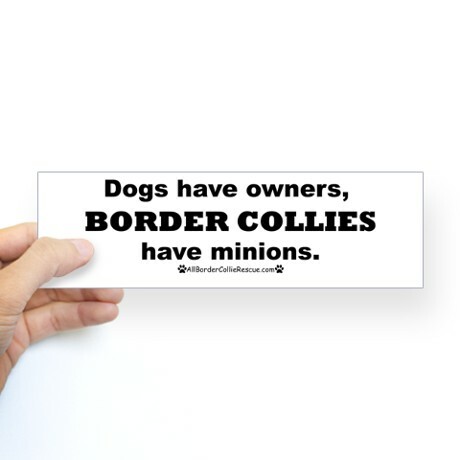 A lot of Border collies were there, maybe 50. 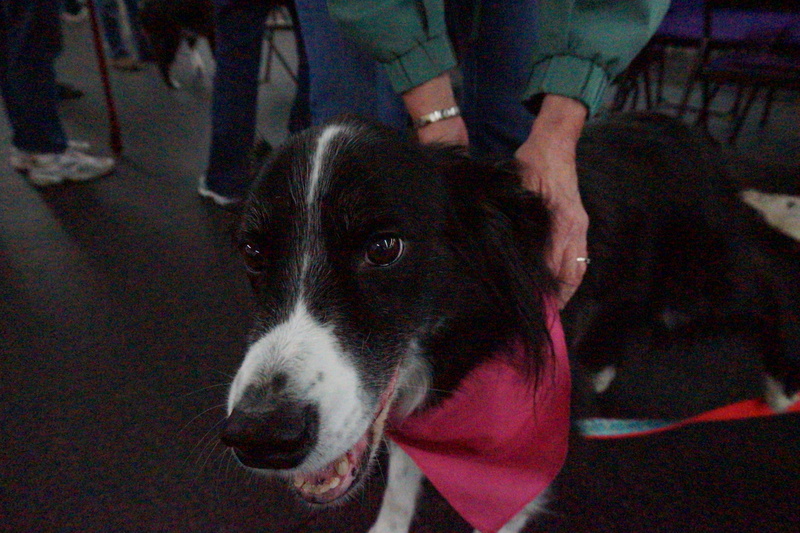 Each Border collie wore a bandana color based on their temperament. Mr. Calm, Cool, and Collected (that’s me) was given the “good with everybody” color. I am an expert at minding my own business. 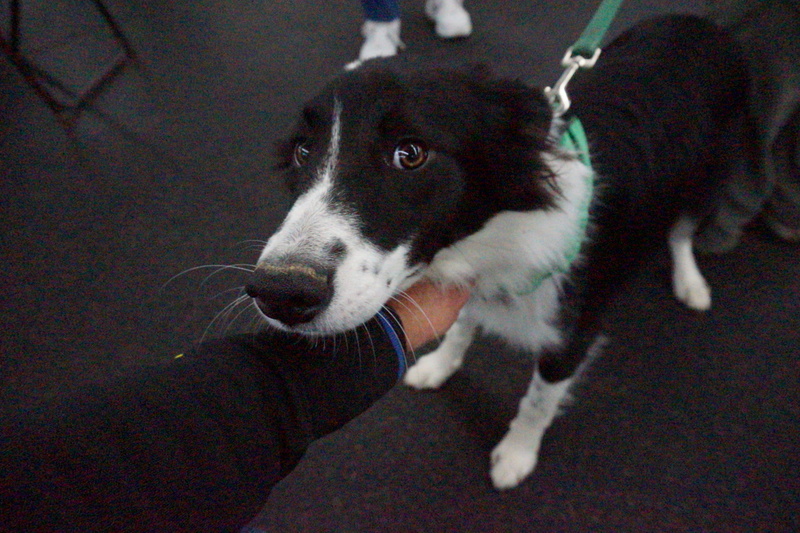 A quick hello with most of the Border collies will suffice, although a red Border Collie, MUNCH, was very amiable and had a lot to say – about everything. I liked him a lot. This is my buddy, Munch. He had a lot to say about everything. He was very respectful of my stature as a subtle alpha male. 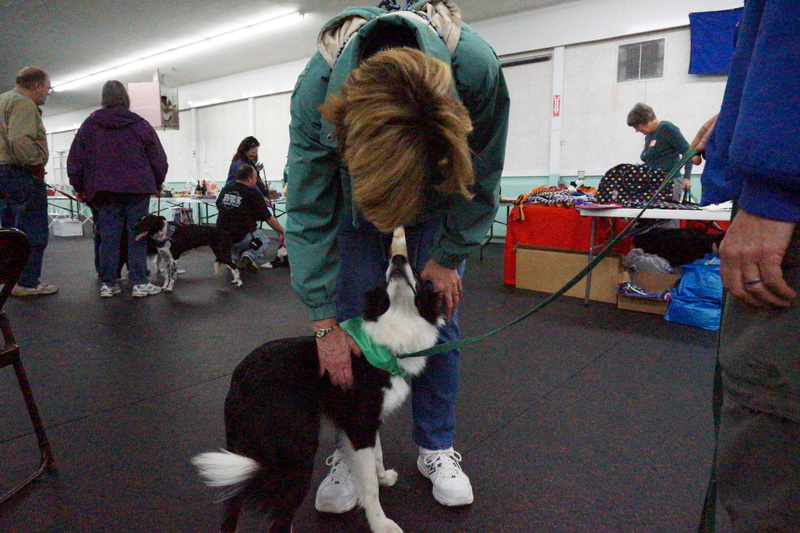 This entry was tagged border collie, border collie rescue, dog, dog behavior, dog rescue, dogs and people, herding dogs, life with dogs. Bookmark the permalink. 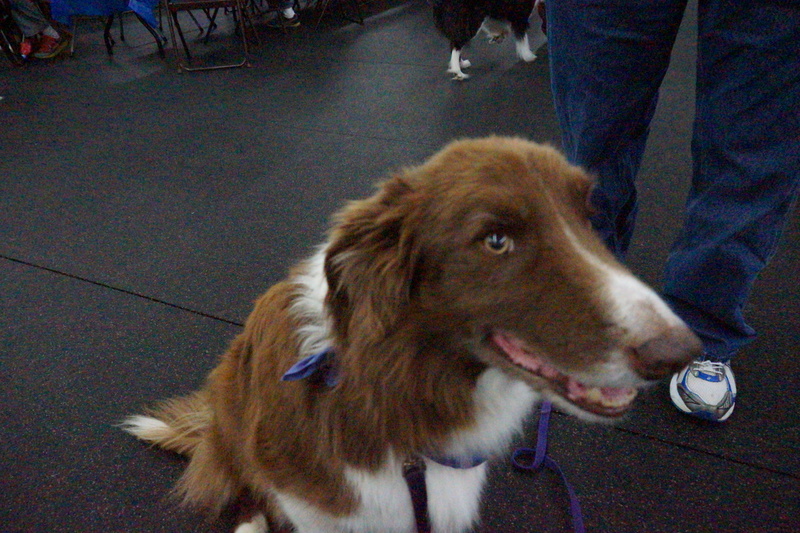 Cody, we were SO happy to see you (and your humans) on Saturday! We missed you during the Games – there was one in particular that had your name on it. 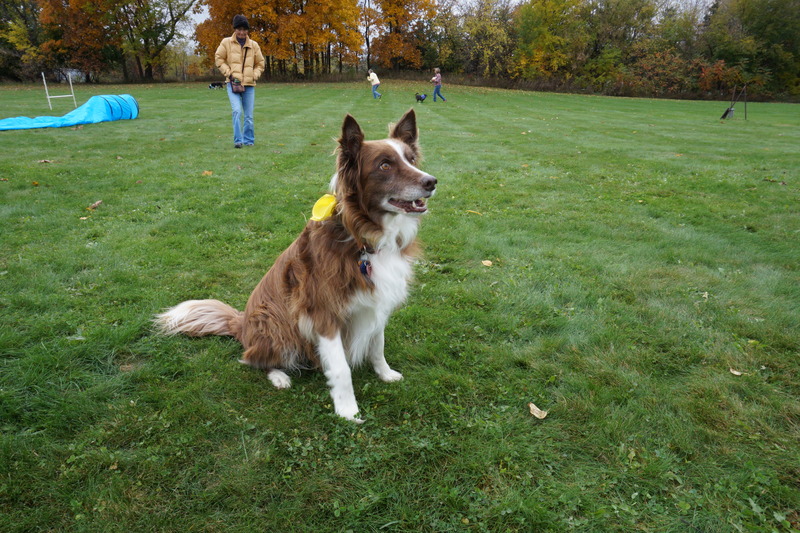 We were looking to see which dog at the picnic had the “most seniority” — who had been with his forever family the longest.